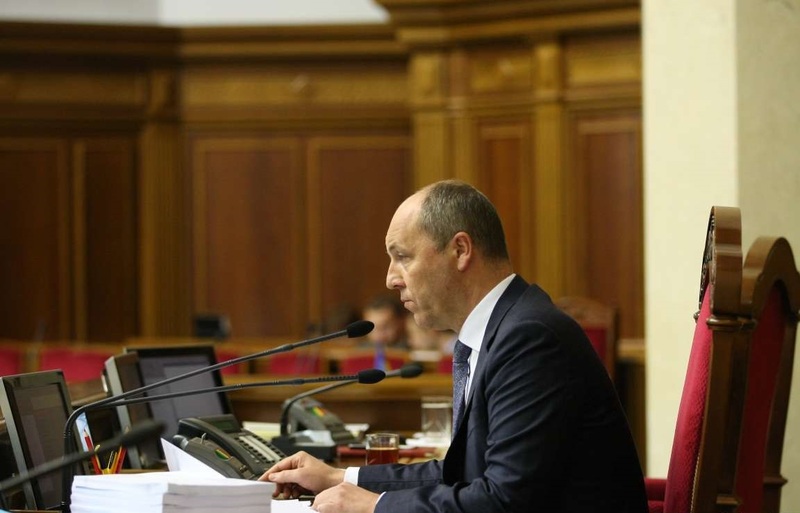 The Verkhovna Rada took the first step towards parliamentary elections on open lists. At the morning meeting on Tuesday, the deputies supported in the first reading the electoral code by 226 votes, which presumes holding parliamentary and local elections on a proportional system with open lists and giving the voter the opportunity to determine the deputy's place on the list. Authors of the document were People's Deputies Leonid Emets, Olexander Chernenko and Speaker of Parliament Andriy Parubiy. After the vote, some of the deputies openly stated that this was an "unfortunate accident", and the coalition simply wrongly calculated the votes. For several years discussions have already been held in the parliament and beyond about the need to switch to a proportional system for holding parliamentary elections. Thus, CEC chairman Mikhail Ohendovsky said that the best option for Ukraine would be to switch to a proportional electoral system on open lists, and added that the majority system increases corruption risks. In the parliament, several bills were registered from representatives of both the current coalition and the opposition, but for the time being they were a dead weight. The beginning of the week seemed to leave no chance for parliamentary and local elections in a new way. On Monday, there was "free discussion of the bills and free voting" at Bloc of Petro Roroshenko faction meeting. "The bill is put to a vote in order to be failed," says our interlocutor in the faction. According to the deputies of the People's Front faction, during their meeting they were asked "to support the bill, because it is ours," but no decision was taken to vote or not to vote. Yes, and the deputies from Bloc of Peter Poroshenko did not believe in such a result. However, on Tuesday morning the Verkhovna Rada supported by 226 votes the bill on transition to a proportional system on open lists (in the first reading). For the deputies of the coalition and the opposition, the result on the scoreboard of the Rada system was a surprise. "It happened by accident ... BPP and Popular Front did not understand the number of votes," MP Boryslav Bereza wrote on his Facebook page. Sources of 112.ua in the opposition factions specify that in BPP and Popular Front expected that the legislative initiative of the parliament speaker will be supported by a maximum of 200 deputies," however, some deputies simply did not understand what they are voting for." However, our sources in the Presidential Administration and the coalition note that both internal and external reasons influenced the effective voting. "Poroshenko promised the countries of the Normandy Quartet to abandon the majority system. EU is extremely negative about the first past the post system in our country. It believes that it stimulates corruption... US State Department's special representative for settlement issues on Donbas Kurt Volker recalled the need to abandon the majority system during his visit to Ukraine," emphasize our interlocutors. The voting was also the result of the agreements of one of the influential deputies of the People's Front faction with the Opposition block faction. Despite the effective voting, both the coalition and the opposition doubt that this bill will become a law. "It has no chance to become law, as it strengthens the dependence of a candidate on a political party..." the front-line deputies told us. Proponents of the bill representing the opposition note that its adoption will be a serious blow to the oligarchization of the parliament, as "the voter will see the entire list of candidates for the deputy seat and he will have the opportunity to influence the position of deputies on the political party's electoral list". At the same time, opponents of the authorities are skeptical about the possibility of an effective vote for the election code.